Pirates & Privateers : Being a history buff I know that there were times when at the palace of Versailles kings defecated on the stairs. What was he in the galleons? Question of Victphane (07.03.2015): Being a history buff I know that there were times when at the palace of Versailles kings defecated on the stairs. What was he in the galleons? 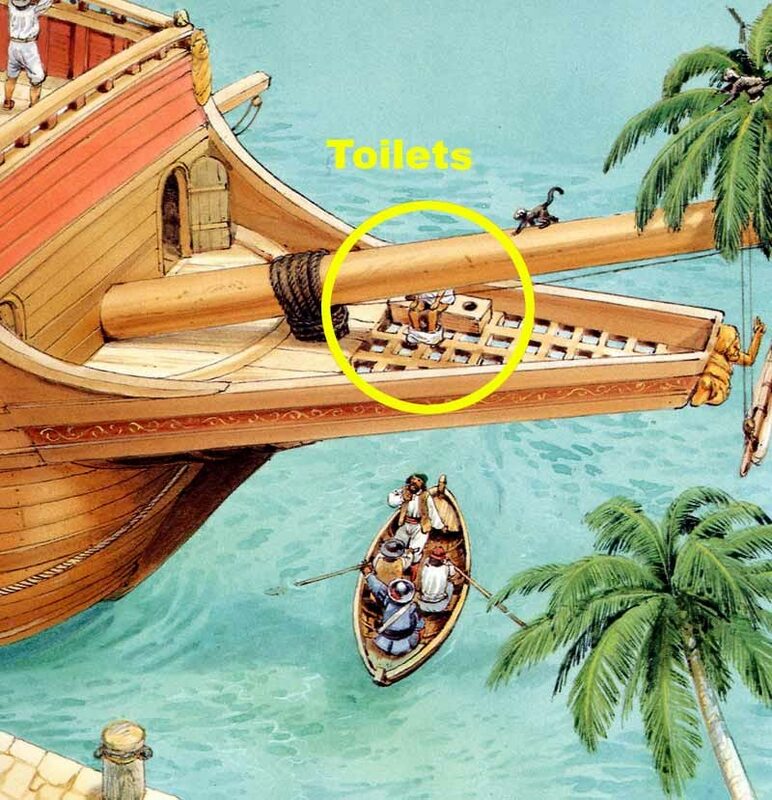 R: The toilets on the galleon were placed on the beak to the bow (front). The beak is a grid of squared timbers. The sailors did their business into the grid and it fell directly into the water.